Shares of South Korean tech giant Samsung Electronics Co. topped the list of holdings sold off by foreign and institutional investors in 2018, market data showed Monday. During the first nine months of this year, offshore investors sold shares of Samsung Electronics worth 3.56 trillion won (US$3.15 billion), according to the Korea Exchange (KRX). Major pharmaceutical Celltrion Inc. came next, with investors selling a net 2.17 trillion won worth of its shares, the bourse operator said. Institutional investors also reduced their holdings of Samsung Electronics shares by dumping equities worth 4.16 trillion won. Major chipmaker SK hynix Inc. came next, with net selling totaling 1.12 trillion won. In contrast, retail investors favored Samsung Electronics, scooping up equities worth 6.73 trillion won. Hyundai Rotem Co., a South Korean railway system and plant equipment firm, came in a distant second as individuals picked up 671.7 billion won worth of its shares. 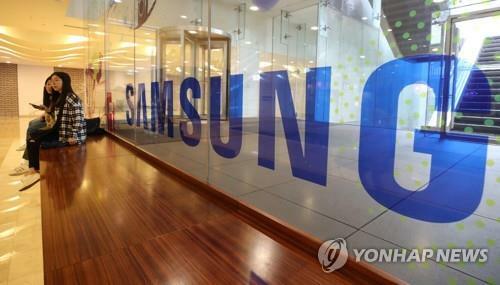 This year, shares of Samsung Electronics had tumbled 8.9 percent by the end of September. In trading Monday, the tech behemoth had risen 0.34 percent to 44,850 won as of 10 a.m.